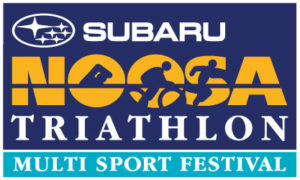 Xtreme Carbon is very excited about the upcoming Noosa Triathlon Multi Sport Festival on October 26th. More than just a triathlon, this event is a 5-day multi- sport festival so there is something for every age and ability to enjoy. This high profile event is a highlight on the triathlon calendar, famous for being the largest Olympic distance triathlon in the world. It’s incredible to think that over 12,000 competitors take part, supported by more than 30,000 spectators. The Noosa Triathlon is globally recognised as being a ‘must do’ for pro triathletes and those, like us, who are involved in professional cycling. It’s easy to see why Noosa is one of Australia’s most popular tourist destinations and having the opportunity to swim, bike and run in this pristine environment is truly a privilege. What is Multi Sport Festival? Noosa’s multi sport festival mixes sport, entertainment and fun with the beauty of the natural environment. It is a celebration of health and nutrition with a focus on sport and activity. There are so many fantastic events on the schedule that it’s hard to pick a highlight. However, as cycling enthusiasts, we are most looking forward to the Criterium. Watch with approximately 20,000 other spectators as a star studded field of pro cyclists carve up Noosa Parade. The Legends Triathlon, where sporting stars of the past, present and future compete against each other, is also great fun to watch. Away from the sporting field, the Noosa Tri Charity Golf is always popular with lots of prizes and even more pride at stake! As well as watching the events, Xtreme Carbon will be exhibiting at the Sport & Lifestyle Expo. It’s a great opportunity for us to showcase our high performance bicycle wheels to triathletes and time trialists from all over the world. We always meet so many amazing people at these events so if you’re in the area drop by our sand and say hi!